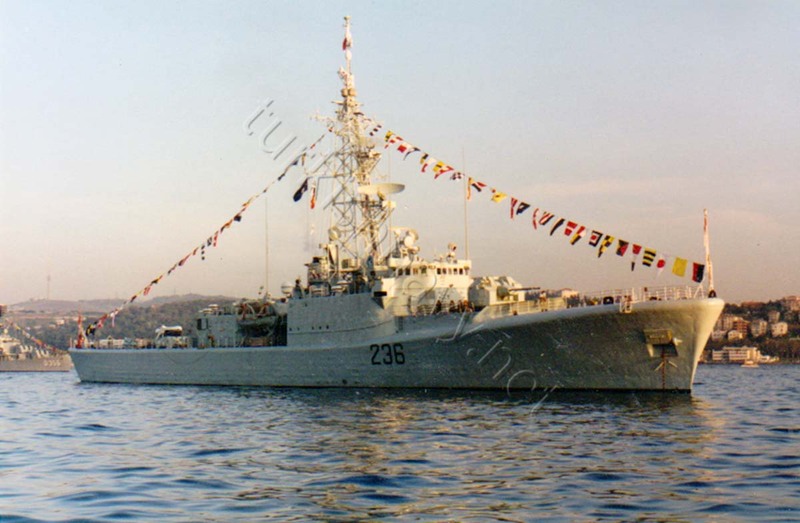 Today, Spanish frigate ESPS Almirante Juan De Borbon and Canadian frigate HMCS St. John’s constituting, Standing NATO Martime Group 2, Task Unit 2 arrived in Samsun, Turkey. The ships will stay in Samsun for 3 days. 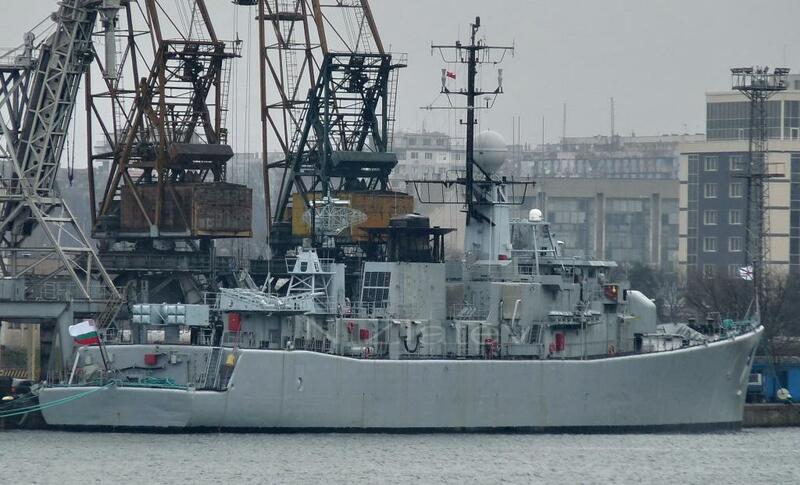 They have left Varna, Bulgaria on last Monday with the Bulgarian warship Reshitelni and spend the rest of the week cruising the Black Sea. The ships have sailed to the Black Sea on 31st January and can stay only 21 days in the region. This means that the ships must make their southbound passage through Bosphorus in the next four days. 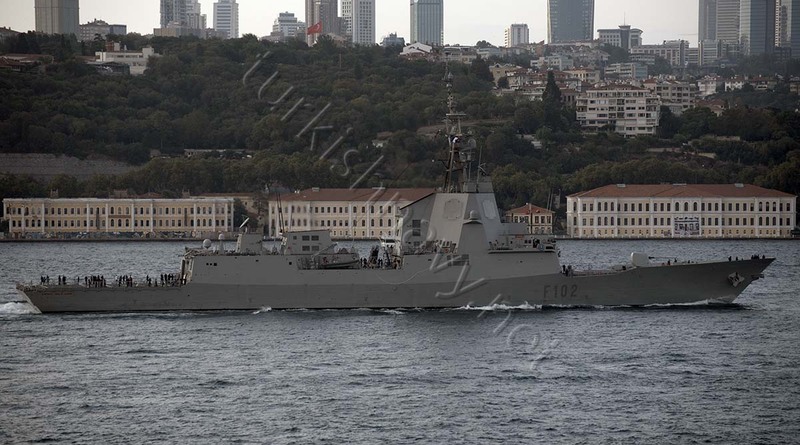 Spanish warship ESPS Almirante Juan de Borbon passed through Turkish Straits to take part in the exercise. Once again Romania is hosting Sea Shield naval exercise. The exercise will take place between 1st and 11th February 2017. The exercise started with the planning and familiarization phase which will end on 5th February. The participants have already arrived at the Romanian port Constanta for this year’s exercise. Besides, Romania, Bulgaria, Canada, Spain, Turkey and U.S.A. have deployed warships. The only submarine of the exercise is TCG Dolunay. She will play the role of the hunter and the hunted. According to the press release of the Romanian Naval Forces, 2800 military personnel is taking part in the exercise. Romania will provide besides warships two mobile missile-launchers, a special-operation detachment, two MiG 21 Lancer airplanes and a medical-evacuation helicopter. Turkey has also dispatched one CN-235 ASW patrol plane. Romanian corvette, Contraamiral Horia Macellariu on her way to the Mavi Balina 2016 ASW exercise. Yesterday, on 19th November 2016, anti submarine warfare exercise Mavi Balina (Blue Whale) has started. The exercise led by Turkish Navy will be held in Eastern Mediterranean. The aim of the exercise is to increase the submarine warfare and ASW skill of the participating units. 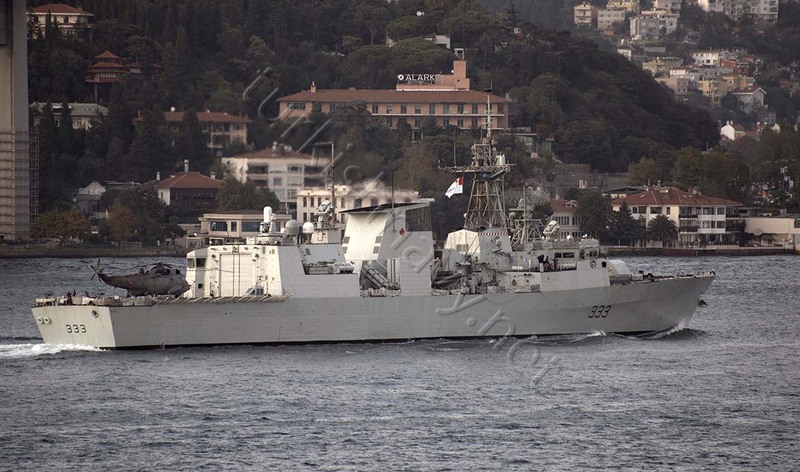 Turkish Navy is taking part with 4 frigates, one corvette and 5 submarines. Besides Turkey, Bulgaria, Canada, Pakistan, Romania, Spain and USA are also taking part in the exercise with warships. Bulgarian frigate BNS Drazki, in Varna. Photo: Nikolay Zlatev. Used with permission. 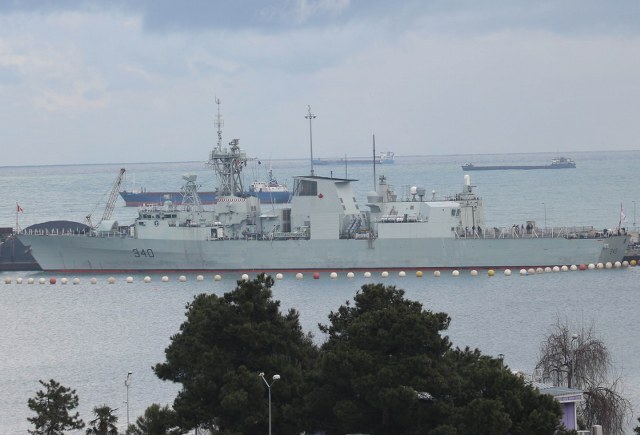 Canadian frigate HMCS Fredericton arriving to Varna. Photo: Nikolay Zlatev. Used with permission. 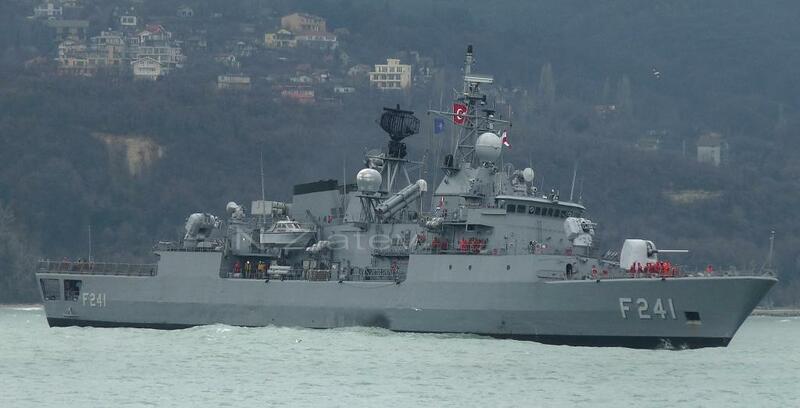 Turkish frigate TCG Turgutreis arriving to Varna. Photo: Nikolay Zlatev. Used with permission. German tanker FGS Spessart in Varna. Photo: Nikolay Zlatev. Used with permission. Italian frigate ITS Alieso in Varna. Photo: Nikolay Zlatev. Used with permission. The ships assigned to Standing NATO Maritime Group Two (SNMG-2) arrived to-day to the Bulgarian port Varna. There is a very strong north wind in the Black Sea throughout the weekend and I think the sailors are happy to be in a port in this weather. 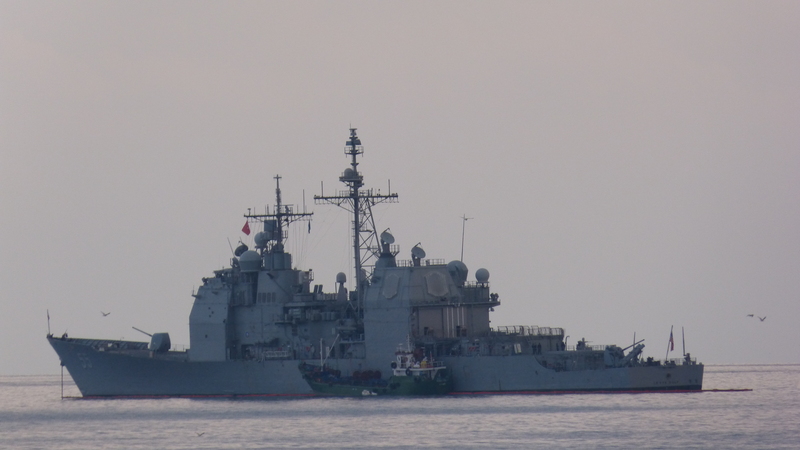 According to the excellent Bulgarian blog SeaDog, the flagship of the task force USS Vicksburg did not enter the harbor due to strong winds. She is expected to arrive on 8 March 2015. According to Russian websites the first two ship of the task force to enter the Black Sea USS Vicksburg and TCG Turgutreis were greeted by Russian Su-24 and Su-30 warplanes. 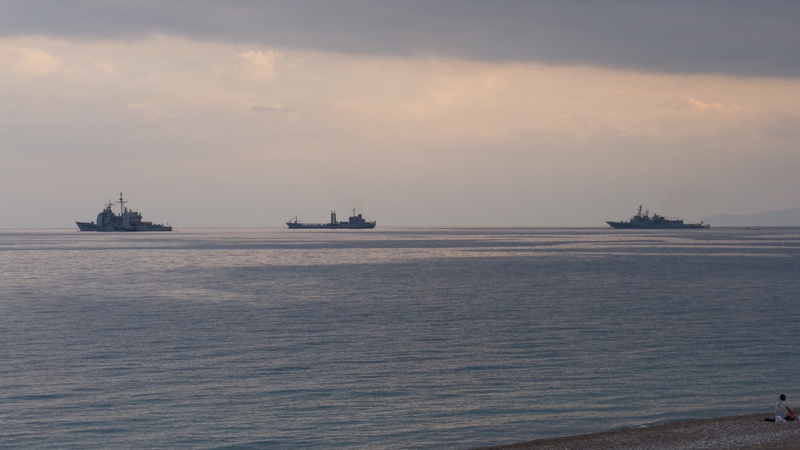 From left to right: USS Leyte Gulf, TCG Yarbay Kudret Güngör, USS Cole, TCG Kemalreis in Antalya. Photo: Mert Şekersoy. Used with permission. 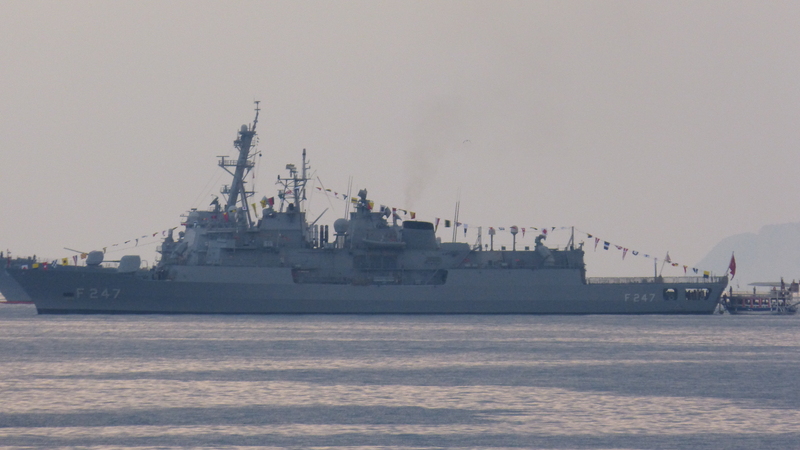 TCG Kemalreis in foreground and USS Cole in background in Antalya. Photo: Mert Şekersoy. Used with permission. 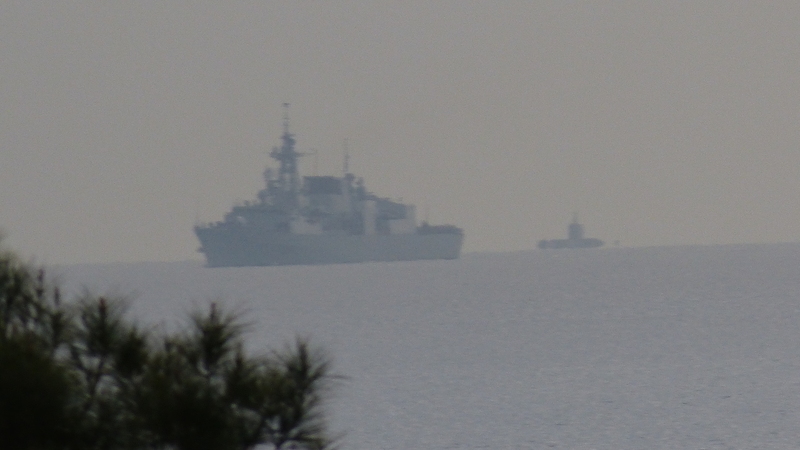 HMCS Toronto and one Preveze class submarine of Turkish Navy arriving in Antalya. Photo: Mert Şekersoy. Used with permission. As the Turkish led anti submarine warfare exercise Mavi Balina 2014 ends participating warships are starting their port visits in order to give their crews a rest. 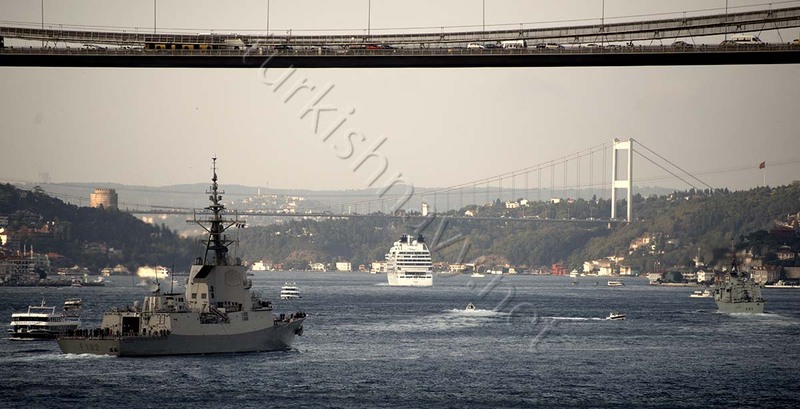 Today Turkish warships, F-247 TCG Kemalreis, A-595 TCG Yarbay Kudret Güngör and one Preveze class submarine, Canadian frigate FFH-331 HMCS Toronto and US Navy warships CG-55 USS Leyte Gulf and DDG-67 USS Cole have arrived in Antalya. 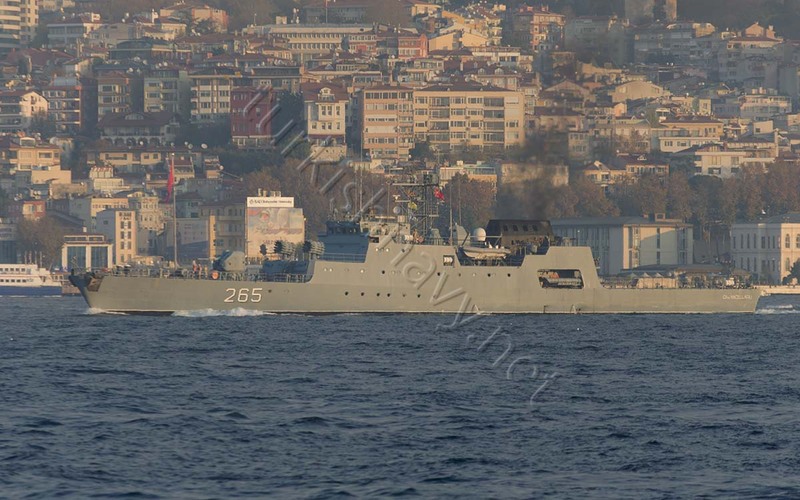 In the meantime Turkish frigate TCG Gelibolu and submarine TCG Burakreis will start their port visit in Girne while the fast attack craft TCG Bora will visit Gazimağusa. 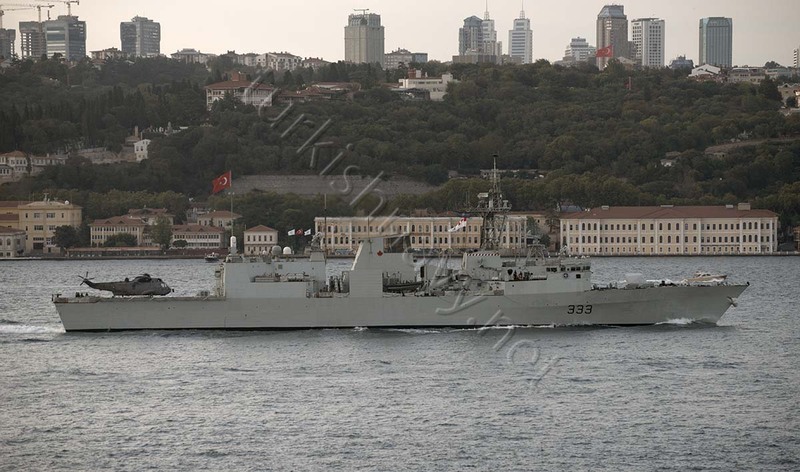 FFH-333 HMCS Toronto passing through the Bosphorus. 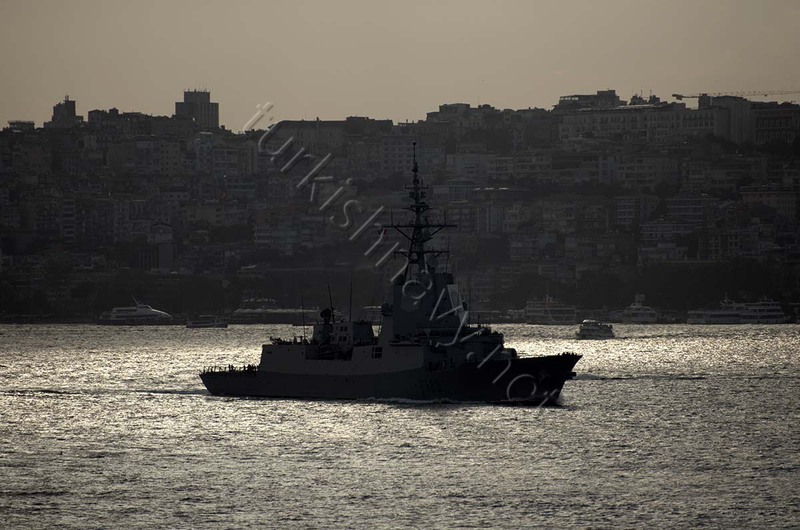 Spanish frigate F-102 ESPS Almirante Juan De Borbon passing through the Bosphorus. 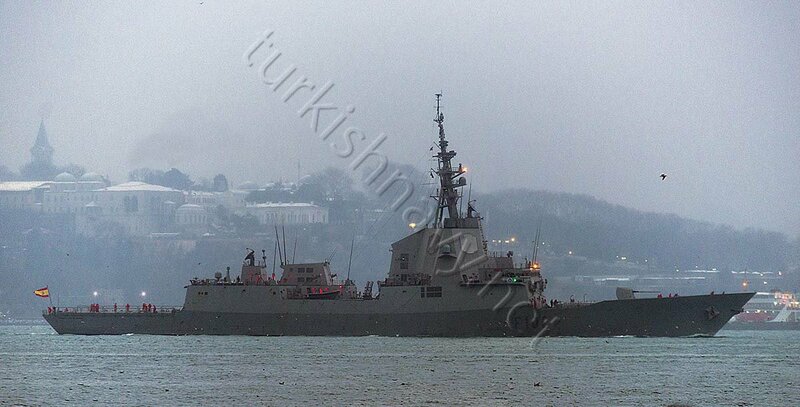 Spanish frigate F-102 ESPS Almirante Juan De Borbon on Bosphorus. Spanish frigate F-102 ESPS Almirante Juan De Borbon (left) and Canadian frigate FHH-333 HMCS Toronto (right) heading to the Black Sea . Standing NATO Maritime Group Two (SNMG-2) Task Unit 02 entered the Black Sea on 6 September 2014. According to NATO the SNMG-2 is made up from the following ships: USS Leyte Gulf, TCG Kemalreis, FGS Nidersachsen, HMCS Toronto and ESPS Almirante Juan De Borbon. Apparently this Maritime Group is sub divided into two task units as USS Leyte Gulf, TCG Kemalreis and FGS Niedersachen are in USA, while the other two are in the Black Sea. Standing NATO Maritime Group TWO Task Unit 02 (SNMG2 TU.02), part of NATO’s four Standing Maritime Forces, entered the Black Sea today to participate in naval exercises with partners and to enhance NATO’s solidarity and readiness in the region. Task Unit 02 presently consists of the Canadian frigate HMCS TORONTO and the Spanish frigate ESPS ALMIRANTE JUAN DE BORBON. They remain under the overall command of COM SNMG2 Rear Admiral Brad Williamson (USA N). 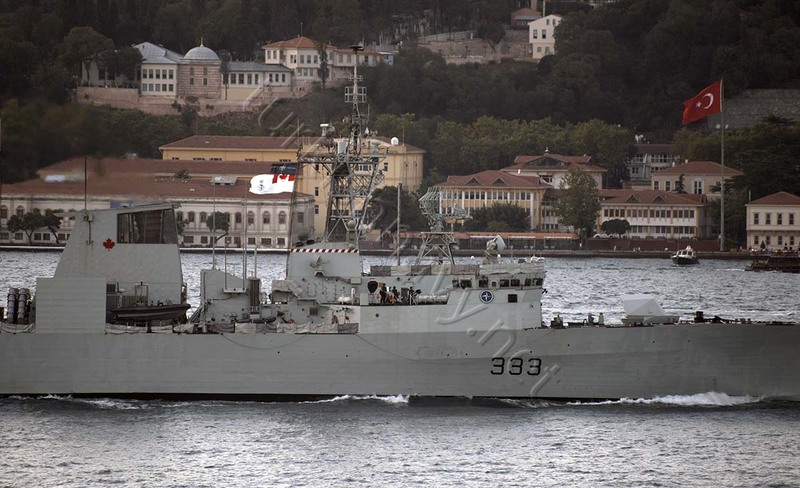 “HMCS TORONTO’s deployment in the Black Sea is an excellent opportunity for ship’s officers and crew to work closely with both Allied and partner naval forces,” said Commander Jason Armstrong, commanding officer of HMCS TORONTO. “The exercise, as well as other operations we undertake in the Black Sea, builds upon Standing NATO Mine Counter-Measures Group TWO’s deployment in July, as participant naval forces continue to demonstrate Allied commitment to collective defence and interoperability. Standing NATO Maritime Group TWO (SNMG2) arrived Tuesday in Norfolk, Va. for a scheduled port visit in conjunction with Amphibious Readiness Group and Marine Expeditionary Unit Exercises (ARGMEU EX). ARGMEU EX are multi-warfare amphibious exercises with the USS Iwo Jima (LHD 7) Amphibious Readiness Group and the 24th Marine Expeditionary Unit. SNMG2 has already completed Task Group Exercises and Fleet Exercises with assets from the U.S. and Canadian navies. ARG-MEU EX is SNMG2’s first opportunity to train with the U.S. Marine Corps. This port visit and ARGMEU EX are part of a series of training exercises in which SNMG2 will participate during its deployment to the Western Atlantic. This is the first time in several years that a NATO task force has conducted transatlantic operations in North America. ARG MEU EX will provide valuable experience through integrated task group training, with a focus on amphibious warfare. SNMG2 ships currently deployed to North America include the U.S. flagship, USS LEYTE GULF (CG 55), the German ship FGS NIEDERSACHSEN (F 208), and the Turkish ship TCG KEMALREIS (F 247). KEMALREIS is the first Turkish warship to visit the U.S. in 15 years, and this is the first trip to the U.S. for the majority of their crew. “I’m extremely honoured to be the first Turkish ship to visit the United States in quite some time. I look forward to fostering relationships and training with our U.S. counterparts and I’m happy for many of our Sailors to make their first trip to the United States during this deployment,” said Cmdr. Fatih Guresci, Kemalreis Commanding Officer. I must confess I have failed to understand the logic behind the decision to split up, SNMG-2 in two and deploying them an ocean apart.